As you may be aware, Mahatma Gandhi, the great spiritual leader who led the Indian independence movement visited London a number of times. The first was a substantial stay as a student, arriving at the age of 18 to spend around three years in our city between 1888 and 1891. Here he studied law at UCL and subsequently trained as a barrister. He later returned in 1906 and 1909 for shorter visits, and in 1931 when he attended a Round Table Conference in London on behalf of the Indian National Congress, and made speeches in the city. During his student days, we are told that he took dancing lessons, and struggled to find decent food so much that he joined the Vegetarian Society, and was elected to the committee of their Bayswater Branch. 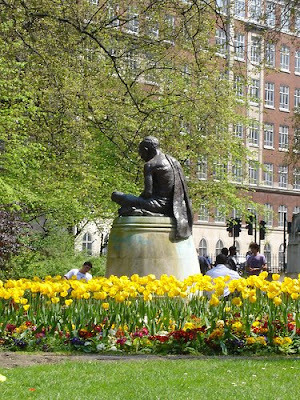 He is commemorated in our city by a monument in Tavistock Square, which was erected in 1968 (pictured above). You can read more about his time in the city, view excellent maps of the places he visited, and find the dates for the next Gandhi's London walk at http://gandhislondon.com/. The walks run on irregular Saturdays, beginning at 2.30pm from Temple tube station (check the site for more) and they cost £7. 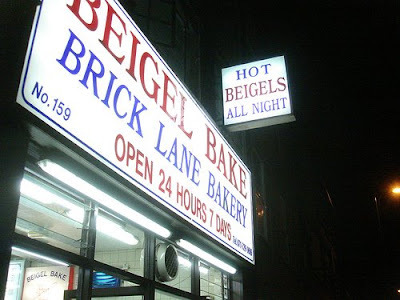 Apparently baking Beigels 24 hours a day since the 1960s (though surely not open continuously) the Brick Lane Beigel Bake is one of those places which is constantly referred to as an 'institution', so it must be one. A hangover from the days when Brick Lane was a largely Jewish community (after the Huguenots moved out, and before it became home to the Bangladeshi community) it still stands proud at the Northern end of the lane, unchallenged by its changing surroundings. Your author is sometimes criticised by his friends for his East London focus, and he is willing to admit this has been worse than usual recently (not least as a result of the rush to come up with ideas ahead of departure for Glastonbury last Wednesday). However, this one is another worthy inclusion, not least as a value-for-money bite to eat on any night out in the area. Sure, it's not particularly good quality but is probably just about better for you than a kebab. 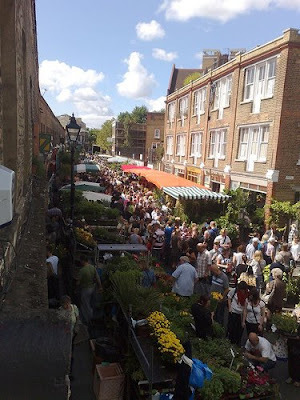 Most East Londoners will be familiar with the Columbia Road Flower Market, probably Britain's finest Flower Market, which occurs every Sunday on the picturesque Columbia Road on the Tower Hamlets/Hackney borders. Established in the 1860s, the market was originally held on Saturdays, but was moved to Sundays in order to serve the local Jewish population, for whom Saturday was a holy day. Nowadays, the market operates Sundays 8am - 2pm, with traders arriving as early as 4 am to set up their stalls. By the time your author arrives, therefore, it is always in full swing, with a vast range of plants, shrubs, bulbs and flowers available at very reasonable prices. St Paul's Church, on Covent Garden Piazza, is commonly known as the Actors' Church due to its proximity to London's various West End theatres. 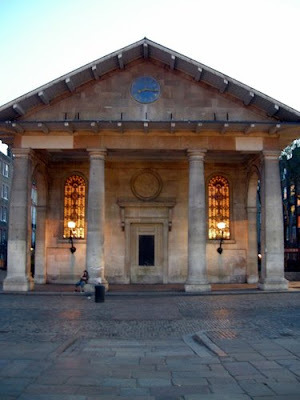 The Church is well known for its portico, under which street theatre takes place daily, and it was here in 1662 that the diarist Samuel Pepys noted the first recorded performance of "Punch and Judy". That's not the only reason it's referred to as the Actors' Church, however, as inside it holds memorials to Noel Coward, Charlie Chaplin, Ivor Novello and Gracie Fields. This story has long caught your author's imagination, but he must admit to having been a little patchy on the details. Thank god, therefore, for Richard Jones' London Walking Tours website, which fills in the background. 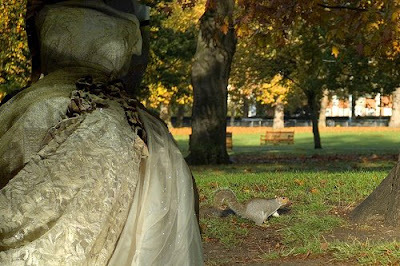 A headless lady has often been sighted in St James' Park, most notably in January 1804, when the Times reported that two Coldstream Guards were so frightened by her that they were confined to hospital, and also in 1972, when a motorist collided with a lamppost when he swerved to avoid a woman in a red dress who suddenly appeared before him. Your author remains sceptical, but on both occasions the lady matched the same description and it is said that the Coldstream Guards, based at the nearby Birdcage Walk barracks, were surprised the lady had no head. It is thought the ghost is that of a the wife of a sergeant who beheaded her in the 1780s, and then buried it in a secret location before throwing her body into the lake. Legend has it that when the lake was later dredged the body was brought to the surface but the head was nowhere to be found. Apsley House, on Hyde Park Corner, was home of the Dukes of Wellington. Originally built in red brick in the 1770s, it was acquired by the Duke in 1817 and extended under the supervision of architect Benjamin Dean Wyatt. Often referred to as 'Number 1 London', the Grade One Listed building it was the first house encountered after passing the Knightsbridge tollgates. Nowadays, the house is run by English Heritage, who open it to the public as a museum of the first duke's life and work, as well as his art collection. During the summer, the house is open 11am - 5pm, Wednesday - Sunday and Bank Holidays. In winter it closes at 4pm. Entry is £5.70. The Old Bank of England pub, at 194 Fleet Street is a Fullers pub situated in the former Law Courts' branch of the Bank of England. Inside, the pub is decorated in appropriately grand fashion, and down in the cellar the original steel bank doors are even still in place. 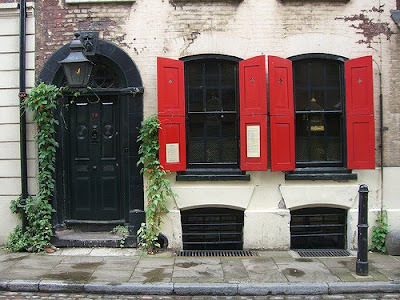 Dennis Severs' House, the creation of American eccentric Dennis Severs, who made his home in a run-down property in Folgate Street in 1979. He slowly recreated a series of period rooms in the building at 18 Folgate Street in Spitalfields, to tell the story of a fictitious family of Huguenot weavers who lived at the house from 1725 to 1919, and the house now presents their story through the sights and sounds encountered in the house's many rooms, which are left as though the family had just departed. 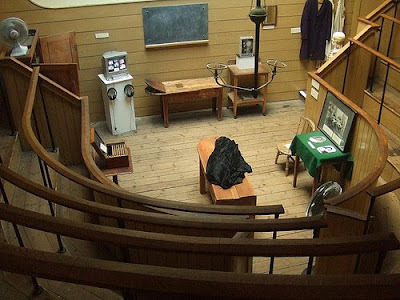 Severs bequeathed the house to the Spitalfields Trust just before he died in 1999, and it's now open to the public every Monday evening (£12 - booking necessary), every Sunday 12-4pm (£8 - no booking required) and at some lunchtimes. For more information, visit http://dennissevershouse.co.uk/. 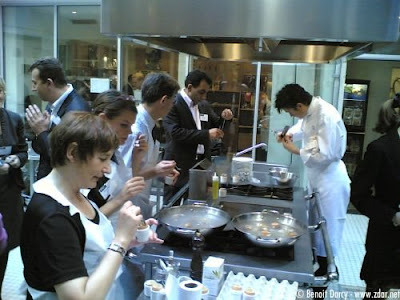 Opened in July 2008, L'Atelier des Chefs is a French company, with it's UK base just off Oxford Street, offering frequent cookery classes from £18 - £150 with their highly experienced chefs. Their frequent "Cook, Eat & Run" classes are the entry end of the market, and for £18 you can spend half an hour of your lunchtime learning to cook a dish from a selection of meals such as fresh ravioli with roasted butternut squash, Parmesan and sage butter sauce or chicken Terriaki with Japanese vegetables. All this takes place under the watchful eye of teaching chefs Baldwin Stoel, Andre Dupin and Jean Sébastien Bompoil, who themselves have worked at many of London and the world's leading culinary venues, including the Ritz and Gordon Ramsay's kitchen at Claridges. You may recognise the Royal Oak on Columbia Road, even if you have not been here before, from its various appearances on television and in films. For this was the pub was featured in the long-forgotten Nicholas Lyndhurst sitcom Good Night Sweetheart and also in the Krays Film. Situated as it is on the untouched Columbia Road - home to the world famous flower market - it has clearly evoked the faded East End in enough telly and film makers hearts to draw them here, and it's a good pub, so rightly so. The pub has a good menu, available downstairs or in its upstairs dining room, and also runs a cafe on Sundays for the flower market. 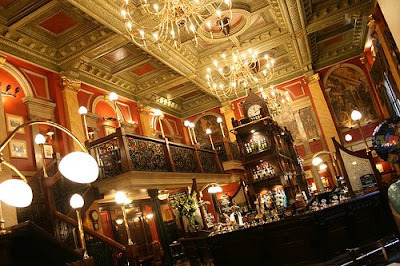 For more information, visit http://www.royaloaklondon.com/. 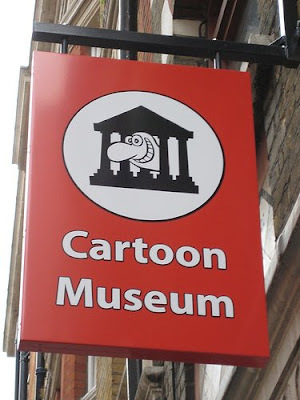 Opened in 2006, The Cartoon Museum, a stone's throw from the British Museum is a museum OF political cartoons, comic strips and books. The museum is a charitable trust and receives no public funding, but gathers together around 1200 exhibits, from the 18th century to present, and houses rare and original artwork on loan from The Beano, the Dandy, and Topper alongside satirical works by artists such as Gerald Scarfe and Steve Bell. The museum also runs frequent events and cartoon workshops for children. Click here to see the location on map. 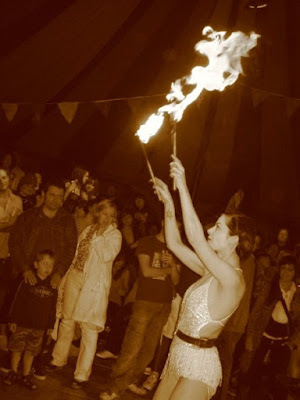 Your author mentioned it yesterday, but in light of recent cancellations in the world of free London festivals (Rise, Stokefest, Camden Green Fair etc), it seems right to devote an article to the Paradise Gardens free festival, which takes place in Victoria Park this weekend. Back for its fourth year, the festival has moved from the usual late-May date to mid-June, presumably in the hope that the weather will be better. The forecast was uncertain at the time of going to press, but will hopefully come through. This years highlights include the renowned Belgian circus, Circus Ronaldo (£12.50), and a free music programme on the Paradise Stage which blends a Continental Drifts theme, celebrating London music with global roots, with a range of acts as part of the Barbican's Cuba50. Your author has to admit to getting PRed by the Mayor's Story of London Festival Team on this one, but it is interesting, so it will be repeated here. 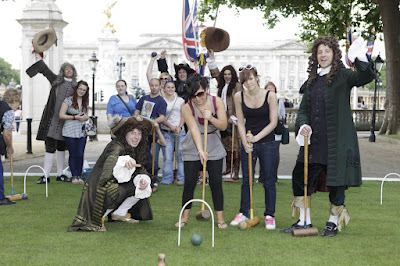 On Tuesday, Visit London recreated the 17th century royal game that gave its name to both the Mall, and Pall Mall. The game of “Paille Maille” was originally enjoyed by the Royal and upper classes in those areas, and was a favourite on King Charles II when central London was still green fields. He and his courtiers played the game, which apparently takes its name from the Italian word 'pallamaglio', or 'ball-mallet', and was played in the areas which Pall Mall and The Mall now stand upon. It's basically croquet, but with a historic twist, so if you have a croquet set (your author does not) and fancy getting back to the aristocratic roots of London why not have a game. Tired of London, Tired of Life has uploaded the rules, and a bit of history, for you here. Enjoy! * Though one has survived, in the form of Paradise Gardens, this weekend in Victoria Park. You wait ages for a bandstand article and then two come along at once. This one is stolen straight from a friend, and your author has also noticed it featured on Londonist but it has been a feature of a number of sunny lunchtimes recently so it should definitely be shared. 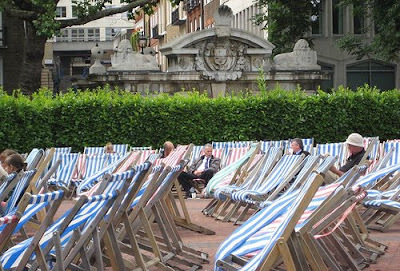 The good people at Westminster Council have decided to put on free lunchtime concerts all summer, as they do every summer, in Embankment Gardens. The theme varies from Jazz to brass bands, and concerts are held every Tuesday and Thursday, with occasional extras on other days. Every community from world geography seems to have its own area of London, and Kingsland Road in East London is the heart of the Vietnamese Quarter. The area was the central focus for the several thousand Vietnamese people who sought refuge in London in 1979 following the Vietnam war. A fitting dinner venue, then, to begin Refugee Week. Tay Do Cafe, at the Southern end of Kingsland Road, is often cited by visitors as one of the more reasonable value venues on offer, and is a regular feature in Time Out's "Cheap Eats". Whilst the decor is very canteen-like, it's BYO, and the food is pretty good. It's one of those occasions when "eat out for under £10" is actually true. For more information, see the restaurant's page on the Time Out website at http://www.timeout.com/london/restaurants/reviews/13848.html. 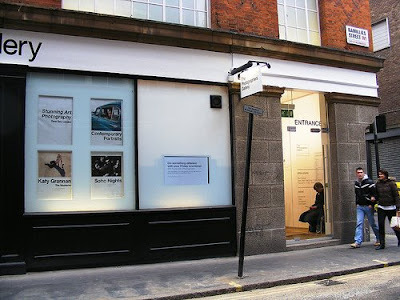 Established in 1971, in a converted Lyon's Tea Bar on Great Newport Street near Leicester Square, the Photographers' Gallery was the first independent gallery in Britain that was devoted entirely to photography. Last year, after 37 years in it's old home the Gallery moved to Ramillies Street in Soho as part of a plan to deliver a new larger gallery, due to open in 2011. 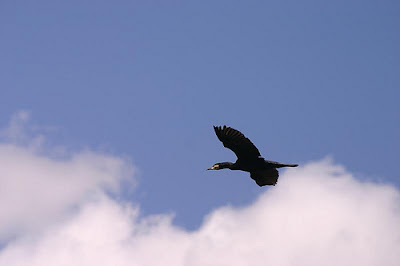 For more information, visit http://www.photonet.org.uk/. 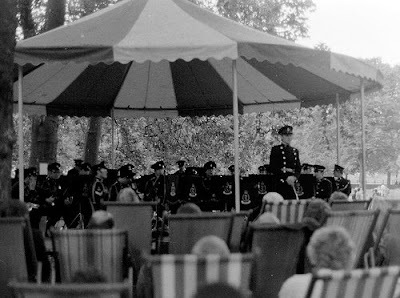 The Royal Parks' summer season of bandstand concerts has begun, with a long summer ahead of weekend concerts in Greenwich, St James’s Park and Kensington Gardens. Whilst the regular Royal Parks email is keen to stress that 'there’s music to suit all tastes' the theme is very much brass bands with 19 out of 19 concerts between now and the end of August featuring a brass band. 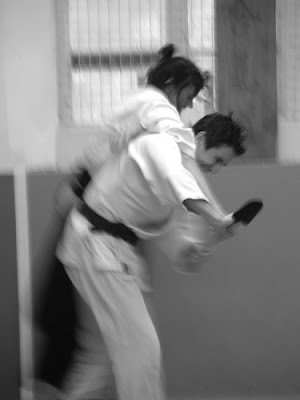 Nevertheless, it's good clean fun and it's free. And have you ever actually watched a brass band before? The Parthenon Marbles are a collection of classical Greek marble sculptures which were originally housed in the Parthenon and other buildings on the Acropolis of Athens, but were moved (stolen) to Britain by Thomas Bruce the 7th Earl of Elgin, the British ambassador to the Ottoman Empire, during the 18th century. Subjected to some damage over the years by war, pollution and transportation they have long been the subject of heated debate as to whether they should be returned to Greece, and a New Acropolis Museum has even been built in Athens which could house them. Surveys also show that a significant proportion of the great British public want to see them returned. However, the British Museum, which owes a great deal of its treasures to the plundering days of empire, is legally banned by charter from returning any part of its collection. So, at present they still remain in the British Museum, and look like they will for a while. The London Natural History Society traces its roots back to June 1858, when the Haggerstone Entomological Society was founded. By December 1858, the society was meeting weekly, with up to 35 members in the now demolished Carpenters' Arms, at 121 Kingsland Road, between Shoreditch and Dalston. Subsequently the Society moved to the Brownlow Arms (also no longer with us), where it remained for 30 years. In 1913, the Society merged with the North London Natural History Society (formerly the Clapton Naturalists' Field Club), to become the London Natural History Society. 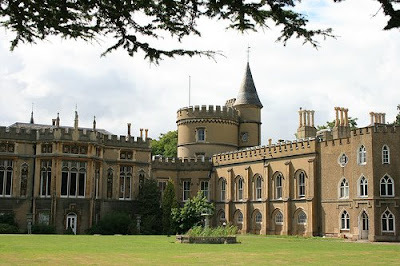 Adapted from a smaller property in the mid-18th century by Horace Walpole, the son of former Prime Minister, Sir Robert Walpole, Strawberry Hill in Twickenham was the world’s first Gothic Revival house. The building is Grade One and was registered as a building at risk by English Heritage in 1996, and in 2004 was included on the World Monuments Watch List of 100 Most Endangered Sites. Since it's appearance on the BBC's Restoration in 2004, a 120 year lease has been signed (in 2007) between St Mary’s University College and the Strawberry Hill Trust, so an £8.9 million restoration project could begin. That process continues, with the help of the Heritage Lottery Fund, but the downside is that this has closed the house to public openings until 2010. Walpole originally bought Strawberry Hill, which had been built in 1698 as a modest house by the coachmen of the Earl of Bradford, as a small villa in 1747-8, and subsequently doubled its size, expanded the plot from 5 acres to 46 acres and gave it a number of towers and battlements. When the 'little gothic castle' was completed it had a significant impact on the subsequent trends in architecture, and was a major influence on the nineteenth century Gothic revival which gave us buildings like the Houses of Parliament, St Pancras Station and Tower Bridge. Public tours are off the menu until the current restoration programme is completed, but it is possible to book private tours, and see the building from the outside. 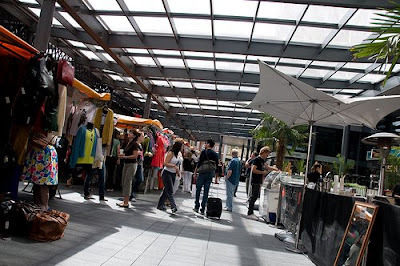 Spitalfields Market may have lost a considerable amount of its market space in recent years, but a full Sunday market still operates in the Eastern end of the market complex, and there are still a range of interesting stalls on offer. A public market was originally granted permission to operate on this site in 1682 by Charles II, and the buildings themselves were built in the late 19th century for the fruit and veg market which operated here. In the 1990s the old market moved out to Leyton, and the market's future was uncertain. The City of London Corporation, who owned the site, put forward plans for office buildings, and Spitalfields residents objected but they were built anyway. Then every chain restaurant you can think of moved in, and the office building programme pushed into the far end of the market buildings. 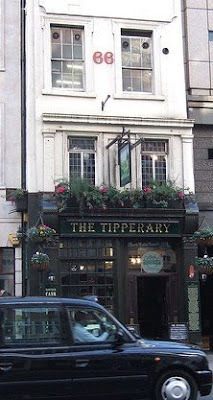 The Tipperary, at 66 Fleet Street, is London's oldest Irish Pub, originally named 'The Boar’s Head' records show that it certainly dates back as far as 1605, and possibly longer. The pub became an Irish pub around 1700, and was apparently the first pub outside of Ireland to serve draught Guinness. Oddly, it was actually renamed The Tipperary after the First World War, in a nod to the song, "It’s a long way to Tipperary..." which many regulars had sung in the trenches. The London Peace Pagoda, beside the Thames in Battersea Park, was built in 1985. The Pagoda is one of two in the UK, with the other, oddly, in Milton Keynes. In the early 80s, the monks and nuns of the Nipponzan Myohoji Buddhist Order came to London and were living in area that has since become the Children’s Zoo. Wandsworth Council eventually offered them a storeroom, in the trees near the Old English Garden on the understanding they carried out all renovations and the conversion into a temple, and the Pagoda was built nearby. Today, we are told, just one monk remains, but the Pagoda still stands tall over the Park and the Thames. For more information, visit http://www.batterseapark.org/html/pagoda.html. 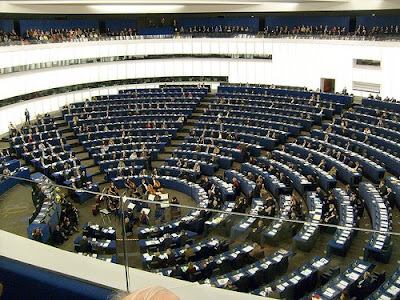 Today in London you can vote for who represents you in an odd circular room in Strasbourg (and occasionally Brussels) to talk about some of the most mundane things you can think of. Anti-discrimination legislation, free movement of goods, workers, capital and the freedom of establishment to provide services may sound vaguely interesting, but when they're debated through an interpreter by people who have a whole range of incomprehensible issues with each other and chips on their shoulders, they become even more tedious. That said, endless bureaucracy doesn't produce itself. However, it's always better to be represented by someone who shares your views, and if you're not that bothered why not vote for someone inoffensive, who isn't filled with all the hate it is possible to have in your heart. Your author is, however, a keen advocate of your right not to vote if you just don't care. Not caring is generally a symbol that everything is just about fine. You may wish to consider, however, that there are other people who care enough to vote but have views that are just wrong. Anyway, your author will be visiting his local polling station, even if just to spoil the ballot paper, as he gets to make his annual trip to vote in the grand surroundings of Shoreditch Town Hall. He recommends that you also make the trip as you may, if nothing else, gain an insight into your local community that you did not have before, by visiting a local school, community centre or town hall which you may not normally get to see. For a list of all the candidates standing visit http://ukpollingreport.co.uk/guide/london-european-elections. 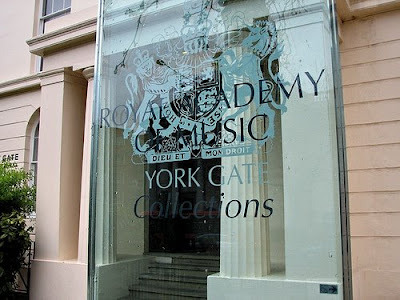 The Royal Academy of Music was founded in 1822, attracting students from over 50 countries worldwide to teach them the necessary skills for a successful career in music at the highest level. The Academy is a conservatoire, Britain's oldest degree-granting music school, and has attracted some of the world's most respected musicians, to allow them to develop their skills in an excellent academic environment. It's a matter of dispute, but many people consider St Clement, Eastcheap, (Rather than St Clement Danes) to be the famous church from the nursery rhyme 'Oranges and Lemons'. 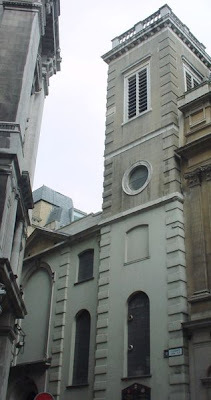 The church apparently gained this association from its proximity to a wharf where Oranges and Lemons were unloaded on their way to Leadenhall Market, and from the fact that Lemons rhymes with Clements. Like seemingly every church in the city, it was rebuilt according to plans laid out by Sir Christopher Wren following the Great Fire of London, and was completed in 1687, though there has been a church on the site for around 1000 years.